An MBTA commuter rail train entered the West Medford station. 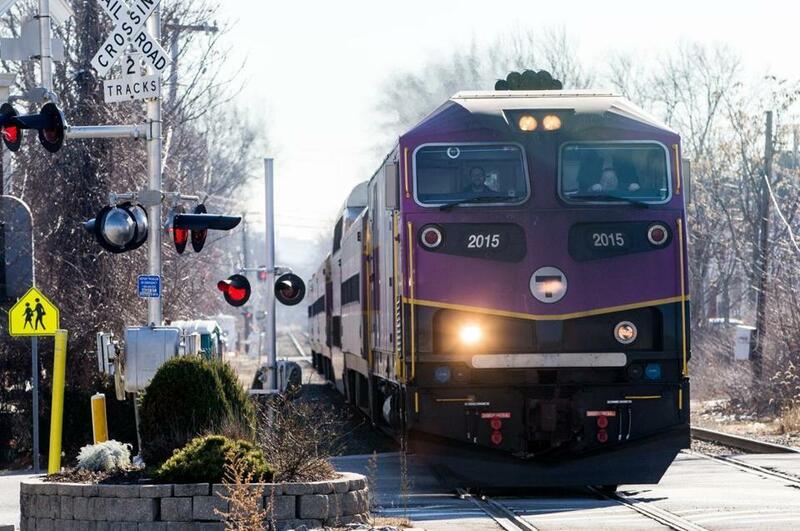 If Governor Charlie Baker wins reelection next year, the Massachusetts Bay Transportation Authority would not seek to extend its current commuter rail contract with embattled Keolis Commuter Services beyond its expiration in 2022, opening the door to a restructured deal with Keolis or a competitor, the state’s top transportation official said Thursday. In November, as the Baker administration faced an outcry over its decision to forgive a portion of the fines levied against Keolis for subpar service, Stephanie Pollack, the state’s transportation secretary, wrote to a key state lawmaker that state officials intend to put the lucrative contract out to bid before it ends in July 2022. “The MBTA does not intend for its commuter rail contract to extend beyond its remaining term, whether the next contract is with Keolis or a different provider,” Pollack wrote in a Nov. 10 letter to Representative William Straus, cochairman of the Legislature’s Joint Committee on Transportation. On Thursday, Pollack said in a statement that the decision was not meant as a rebuke to the international transit company. “The decision not to extend the current eight-year contract is not a reflection of Keolis’s performance; indeed, I fully expect that Keolis would compete as part of the re-procurement,” she said. The MBTA granted Keolis Commuter Services, a subsidiary of a large international company backed by the French national railroad, a $2.69 billion contract in 2014, wresting control of commuter rail service from its longtime operator, the Massachusetts Bay Railroad Co. MBTA officials promoted the “no excuses” contract as a way to improve service, and included a pair of two-year extensions to give the state more flexibility. Since the record-breaking winter of 2015, Keolis has come under often harsh criticism for its performance. In the fall, the Globe reported the MBTA had forgiven some of the company’s fines from that winter, and the company had disproportionately canceled trains on a Boston line that serves many low-income and minority neighborhoods. Keolis also saw a sharp increase in cancellations because of an equipment shortage that officials said stemmed from the 2015 winter. After the reports, Straus, a New Bedford Democrat, called for the state to reopen the contract, calling it flawed. The MBTA had already shown its willingness to cut the company a break, announcing in July it would pay Keolis at least $66 million more than planned. In her November letter, Pollack said that MBTA officials agreed it would be appropriate to think about different “contracting structures and strategies” for future commuter rail service. But the decision to accept other bids will almost certainly not prevent Keolis from bidding on a new contract. Straus, among others, has suggested the next contract should run for longer, following the lead of some European countries. Leslie Aun, a spokeswoman for Keolis, said it remains “fully committed” to the market. “We will continue to work in close partnership with the MBTA over the five remaining years of our eight-year contract to deliver the level of service our passengers expect and deserve,” she wrote in a statement. But who ultimately decides whether to extend Keolis’s contract is in the hands of the voters. Baker, who sought increased responsibility over the state’s ailing transportation system after it left thousands of commuters stranded during winter 2015, is up for reelection in 2018.